10 days after your payment. 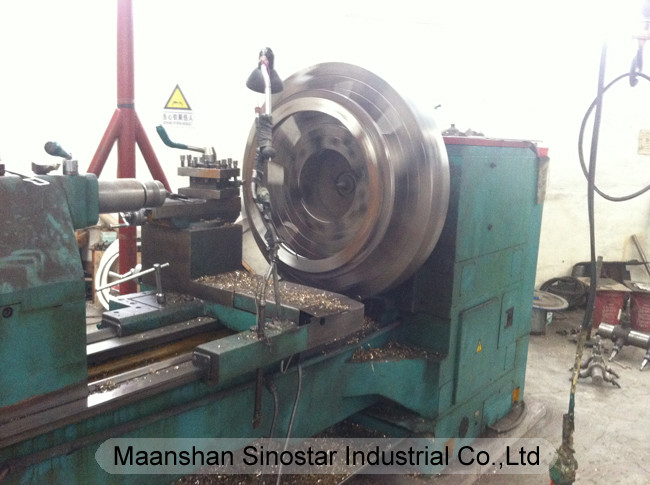 Material Bar:316ss, flange:304ss. 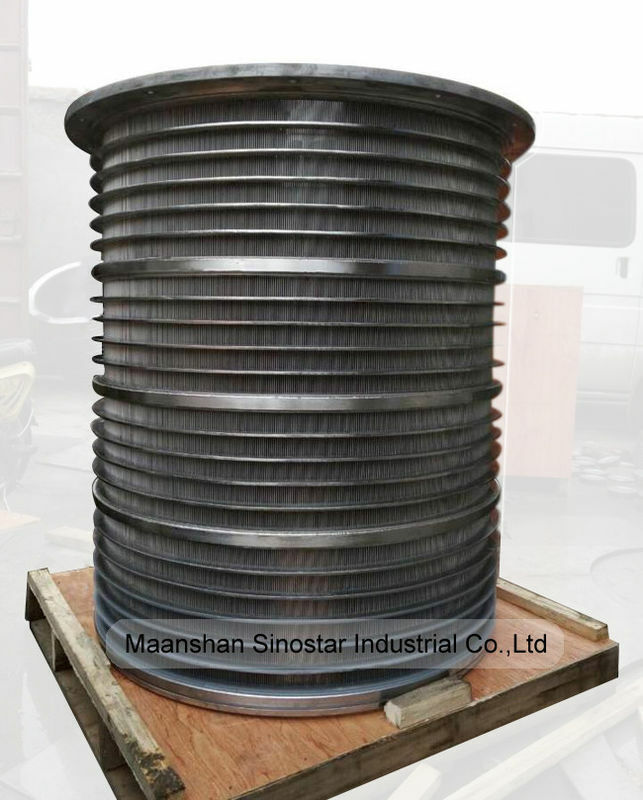 Type wedge wire, slotted. Inner diameter 500mm. Height 340mm. Screen slot 0.35mm. Weight 45kgs. 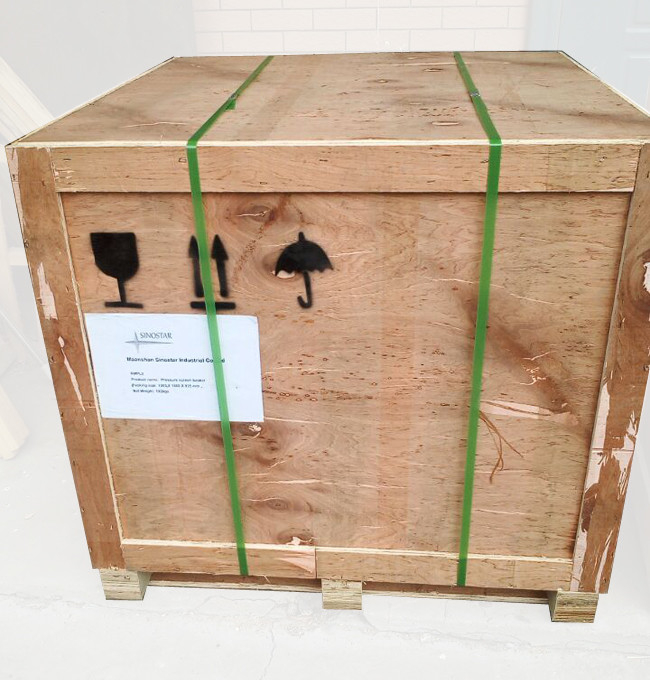 Packing size 560x560x450mm. Unit price USD1,050.00 per piece. Lower operation and maintenance cost. Excellent surface quality, free of burs. Suitable for removing dimensionally unstable impurities. Special rotor design avoids string formation. Nowadays,most important choice for production of paper,improvement of quality of paper, elevation of productivity, and lowering production cost are decided by Screen basket. We are into supplying a wide range of Pressure Screen Baskets, which is specially designed keeping in mind the requirements of paper industries. 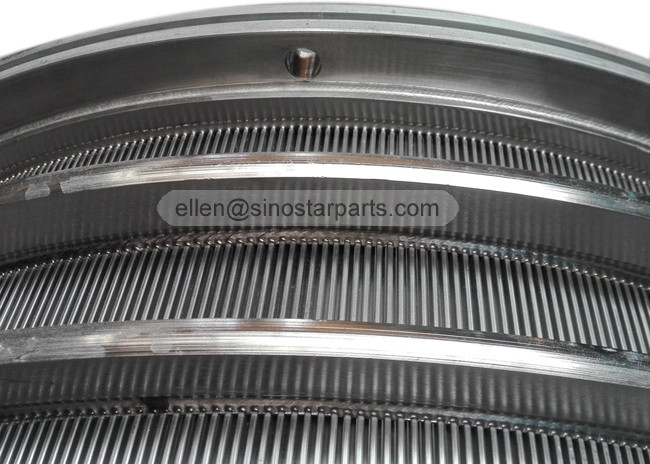 Pressure Screen Basket is the heart of the approach system of the modern paper machine with its special design and high precision in processing. The pre-net screen achieves its non-pulse operation. It can disperse both fiber filler and paper making aid and further fluidize them. It can also screen out remaining impurities in the stock and impurities from the broke system. 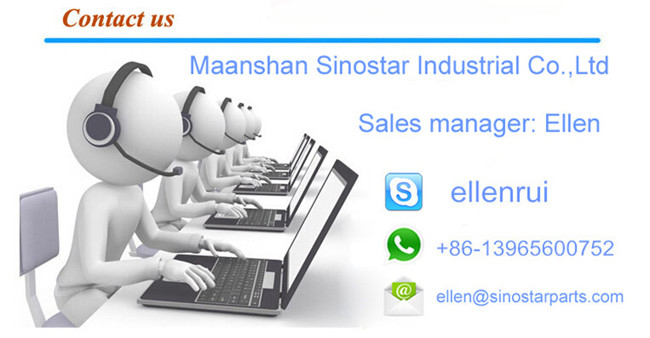 It reaches its function of guaranteeing the quality of the stock. 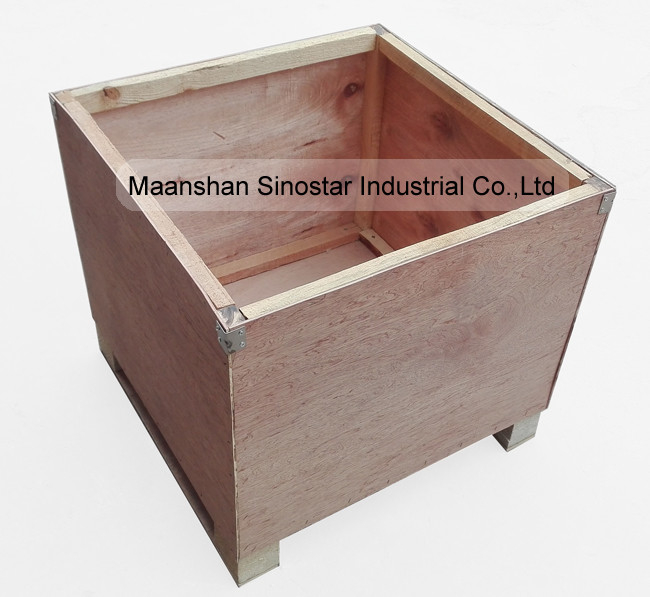 It can also meet all the operational requirements of the paper machine head box. The customer may often meet with the problem of breakage at the welding point in the basket. This will not happen to Sinostar. Multi point numerical welding technique offers not only smart looking, but also reducing the stress distortion caused by heating to the minimum. Besides, we have other integral method. 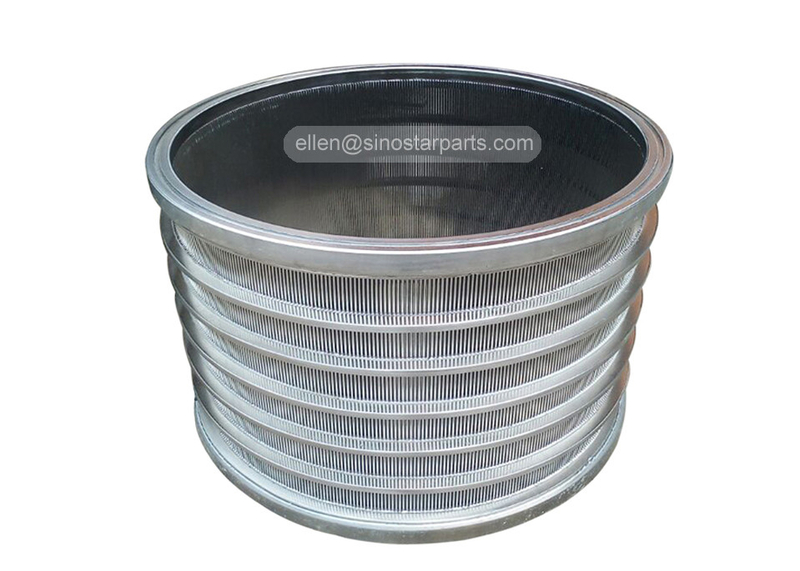 Sinostar guarantees that no weld point will break under normal working condition.Screen basket of Sinostar guarantees to bring your company the best quality and productivity, and satisfactory outcome in lowering production cost.Screen basket of Sinostar will bring your company the satisfactory quality of paper, productivity and production cost. Wedge wire designed with superior technology makes effective elimination of foreign substances of stronger screen basket, and supply more open areas. To ensure the screening efficiency and better life of the basket, it is extremely important to keep the space in good uniformity between the rotary wing and the basket. It is difficult to do it. 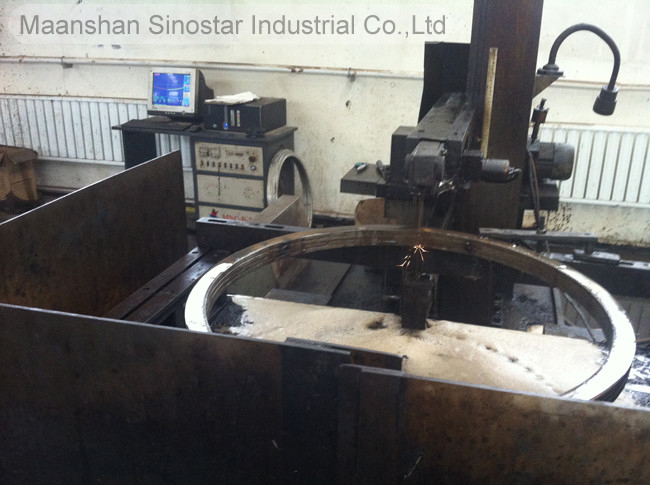 Sinostar has the workmanship to ensure the cylindrical deviation within 0.5mm. We have approached scientifically to screening and separating of fiber, and made the utility maximized.In addition, with the superior technology with surface treatment, we're adding the nice look to the screen basket, and make the life of the screen basket much longer. 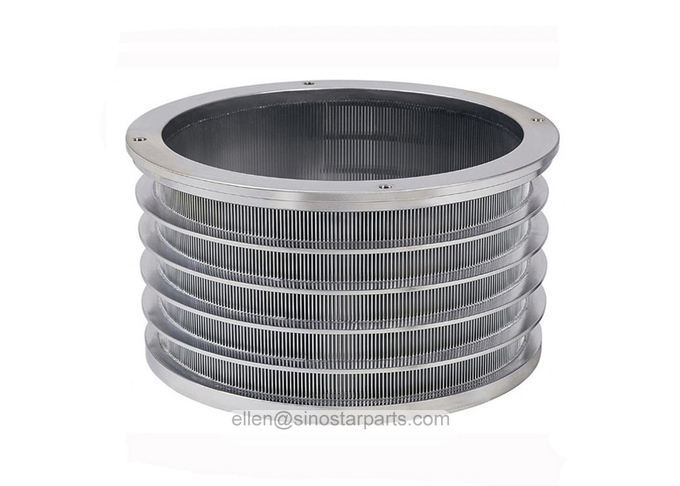 Screen basket of Sinostar guarantees progressive Lowering Production Cost, Elevation of Productivity Improvement of quality for your company. 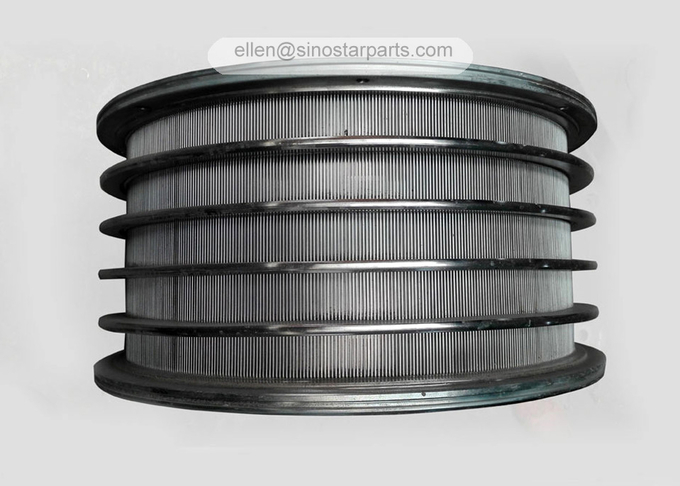 Sinostar wire is selected optionally considering the length of fiber, dissociation or separation, type of paper, productivity, efficiency on elimination of foreign substance, and durability of Screen Basket. We are into supplying a wide range of pressure screen baskets, which are specially designed keeping in mind the requirements of paper industries.Pressure screen basket is the heart of the approach system of the modern paper machine with its special design and high precision in processing.